He worked hard to establish a home-based business supplying mostly US-made goods that constitute “useful stuff.” Now he’s opening a brick-and-mortar retail space in Ventura. 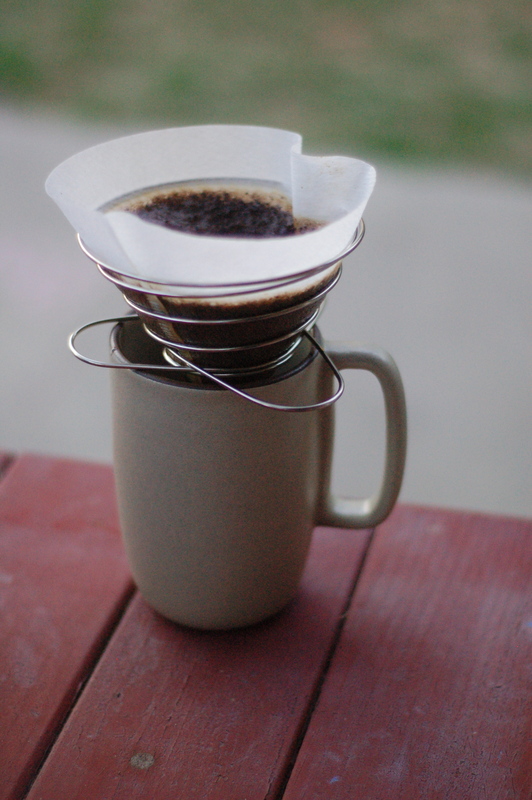 Anyway, I recently ordered the Helix Coffee Dripper from the webstore, and its become my go-to pour over gear for the camping coffee set-up. Better than that, Rob’s care in packaging and thoughtful swag (proto-batch of Hobo Rouleur coffee & stickers) shows how supporting good people and small business creates a very different affect all-around on otherwise ordinary instances of consumption and commerce. As you can see from the package, this filter cone holder folds nearly flat, as it is made up from one stainless steel coil. Its clean when making coffee outside, as there’s nothing to wash or retain moisture. You just shake it off. As some have noted, it does indeed dip the end of the filter into the space of the mug. For me, this is no problem, as when using a more shallow mug, I just let the brewing finish as the coffee rises by picking up the Helix by one of its wings and letting it fill the cup for 20 or 30 seconds before discarding. Easy. 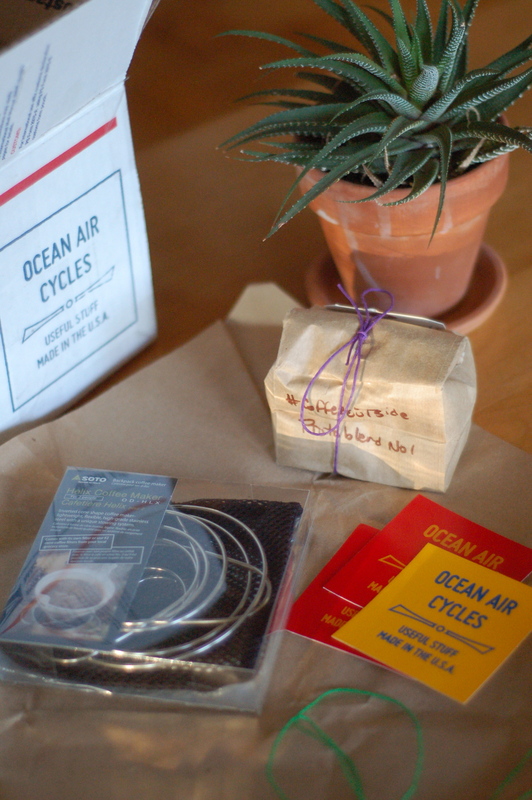 Ordering from Ocean Air is an exercise in altruism. 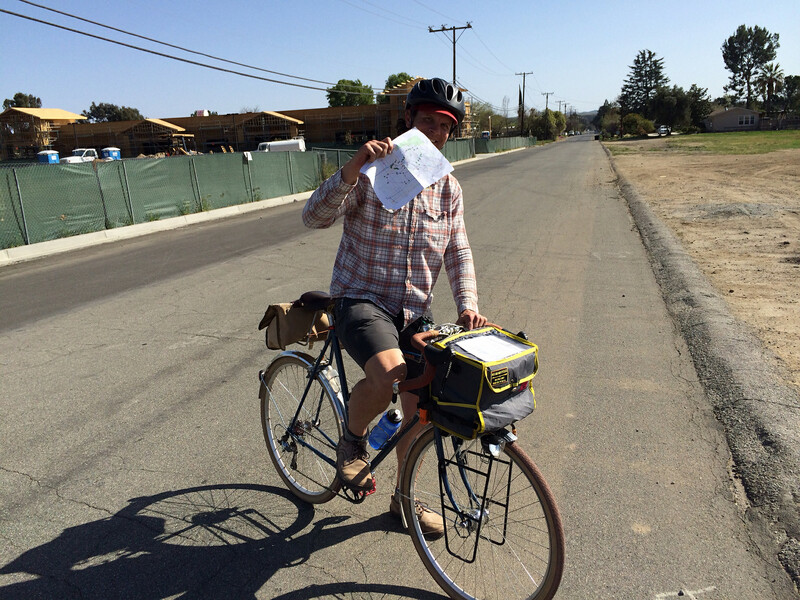 Rob hung with me (as did Aaron) and provided a handy map when I had mechanical issues at last year’s Redlands Strada Rossa ride. What a good guy!